DASH aims to be the first privacy-centric cryptographic currency with fully encrypted transactions and anonymous block transactions. 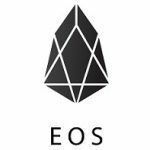 These features are a work on progress and will be released in stages in the near future. Darkcoin currency was originally created as XCoin (XCO) on January 18, 2014. CRYPTO-GAMES: Crypto Games is a casino offering games for playing with Dash cryptocurrency. Currently they offer Slot machine and Dice game. Both games are provably fair and with low house edge – 0.8% at Dice and 1.2 at Slot game. LUCKYGAMES: All games are Provably Fair. No downloads whatsoever. Low 0.5% house edge! Just visit and start playing video poker, blackjack, slots, roulette, craps, keno, dice games. Play totally anonymous with a unique link that serves as your private account. 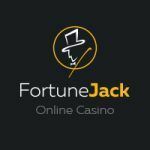 FORTUNEJACK: is an online digital currency casino offering the best online betting experience with Dash. Dash lottery games, Dash live casino games, Dash dice, Dash binary trading and lots of extras coming soon! No private information is needed to register on their website! BETCOIN SPORTS: is known to be the largest Dash sportsbook, with instant grading and in-play betting features. Bet Dash on NFL, NBA, ATP, MLB, FIFA, NCAA, UFC, F1 and thousands of sporting events. BETCOIN POKER: Play in the biggest DASH poker cash games, sit-and-go’s & tournaments. BetcoinPoker is the largest DASH poker site with anonymous profiles. Without any personal verification, you can deposit and withdraw DASH. In addition, players earn rewards for their poker play volume in the form of a rakeback. DASH welcome bonus is available for all of the new depositing poker players! DASH VIDEO CASINO: choose Dash and start rolling! The new dice site offers a low 1% house edge and a provably fair system. Join their contests with a huge prizes. 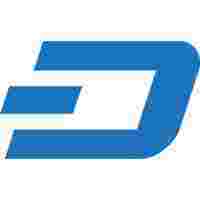 CRYPTO-GAMES: playing with DASH – Dice has house edge of 0.8% – Provably fair – Fast Auto Betting. DASHBETS: on a secure and verifiable platform, deposit Dash coins and choose one of 10 numbers or 6 characters to win 15.5x your bet.